Mandarin Chinese is the most spoken language in the world and China’s economy is the second largest in the world, so many experts recommend learning Mandarin Chinese, the main spoken dialect. Standard Chinese, which is also referred to as “Mandarin“, is the official language of the People’s Republic of China and the Republic of China, and one of the four official languages of Singapore. It is also one of the most frequently used varieties of Chinese among Chinese diaspora communities internationally. There seems to be an “explosion” of Chinese programs right now as many families desire that their children learn Chinese. Savvy parents recognize that students who learn Chinese today may discover new and exciting ways to succeed tomorrow. 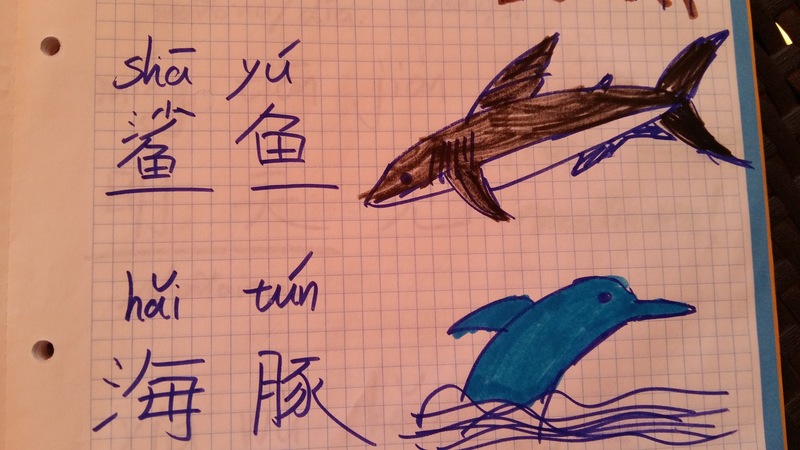 My 2 kids speak Mandarin as we thought that it would be very positive for them to learn this language: they can broaden their horizons, discover one of the world’s oldest continuous civilizations, and the possibility of forming international friendships. They both love everything related to this language. Perhaps it might be that the language’s tone sounds to them like a song, or that the written characters look like pictures. Chineasy for children is a fun book (edited by Thames & Hudson) that “demystifies Chinese characters through attractive graphics and imaginative activities“. The main idea is to explain in an engaging way to children how the Chinese language is made up of building blocks, and the illustrations help children recognize these basic characters. The book (you can buy it here) has been written by ShaoLan, funder of Chineasy, and illustrated by Noma Bar. What I value most about this book is that it covers not only key vocabulary (numbers, family members, animals or food), but also many aspects of the Chinese culture (zodiac, geography, traditions..), being the natural step that allows children to understand China, Chinese culture, and its language. 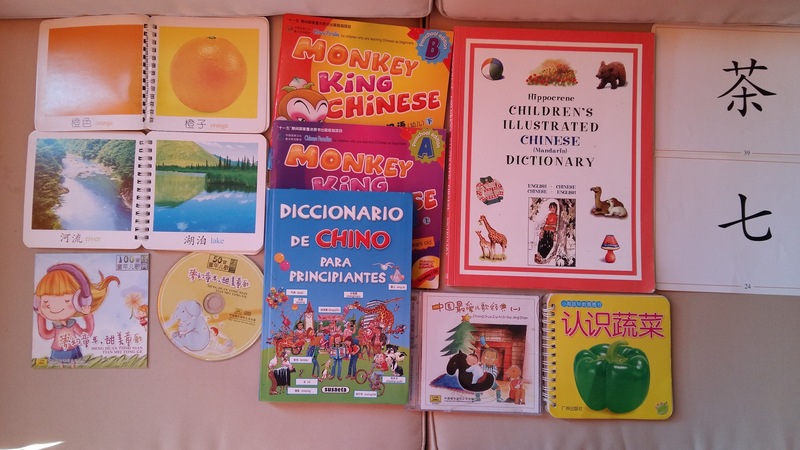 The book includes games and activities, as well as eight practice pages for children so that they can try out writing the Chineses characters. As ShaoLan explains: “Chineasy will become the first step for anyone in the world who wants to understand China, Chinese culture, and its language. It is educational, social, cultural and inspirational. I am demonstrating the beauty of this deep and broad culture with a modern interpretation by creating a sleek modern design. For me, it is also an art project, as I grew up in an artistic family. I am connecting the dots- bringing me back to my artistic upbringing- and connecting my life journey of being in both the East and the West“.